The Gourmet Specialty Pan goes from the range top or oven straight to the table for elegant food presentation. 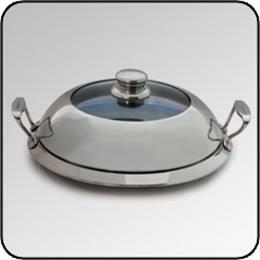 Pan also works well for serving cheese, crackers, sausage andother cold or hot hors d'oeuvres. NEW! The long lasting beauty and modern appearance of this Excalibur dehydrator lends a touch of COLOR to your kitchen. These items will be on sale for a limited time only. Don’t miss out on this special deal, order yours today! Specializing in healthy cooking and food preservation, we have the tools you need. Chef’s Kitchen has top quality cooking and canning equipment. We carry brand names like All-American and Chef’s Design with products made right here in the USA. Chef’s Kitchen has a wealth of information on preserving food. Download the USDA Complete Guide to Home Canning for FREE. A great resource, including recipes, techniques and safety precautions for canning at home. 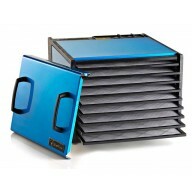 Take a look at the Excalibur Dehydrators. A great way to extend food storage, prepare for emergencies situations or just for a healthy snack. 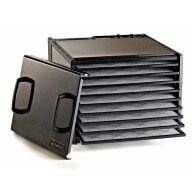 New to food Dehydrating? Not to worry, we have all the equipment and information to get you started. It really is an easy and fun way to store food. Chef’s Kitchen has many other products to help make you a success in the kitchen. Our Waterless Cookware is not only an attractive piece of cooking equipment, but results in healthy no-fat cooking. Why wash all those vitamins and minerals away when you can cook the waterless way! 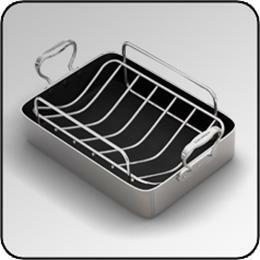 When preparing a large quantity of food, our kitchen accessories will help process food quickly and easily. These are items your kitchen should not be without. 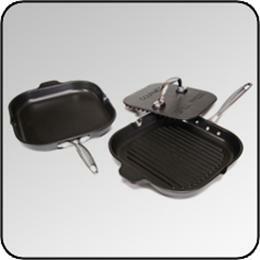 If you like to grill you will love our range-top grills and griddles. Bring the flavor of the outdoors inside while keeping it healthy. Another All-American brand product that will last for generations. Chef’s Kitchen offers promotions on a regular basis so register with us today for special “member-only” offers. Browse our site and check out our Blog, we would love to hear your thoughts.